It’s not an easy job to build a successor of a model that is already so successful and popular around the world. BMW had this job in hand, to make the 3-series better without spoiling its true character. And they seem to have done a pretty good job here. 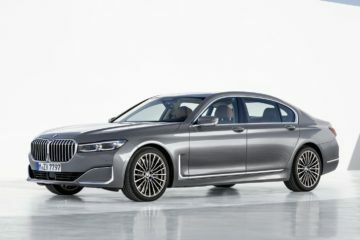 The wraps have been taken off the all-new G20 2019 3-Series at the ongoing 2018 Paris Motors Show and the sedan has shown off its larger body. The new version of the 3-Series is 85 mm longer at 4709 mm, 16 mm wider at 1827 mm and just 1 mm taller than the outgoing model. It also now has the largest wheelbase in its class of 2851 mm which is a 41 mm increase than the previous one. 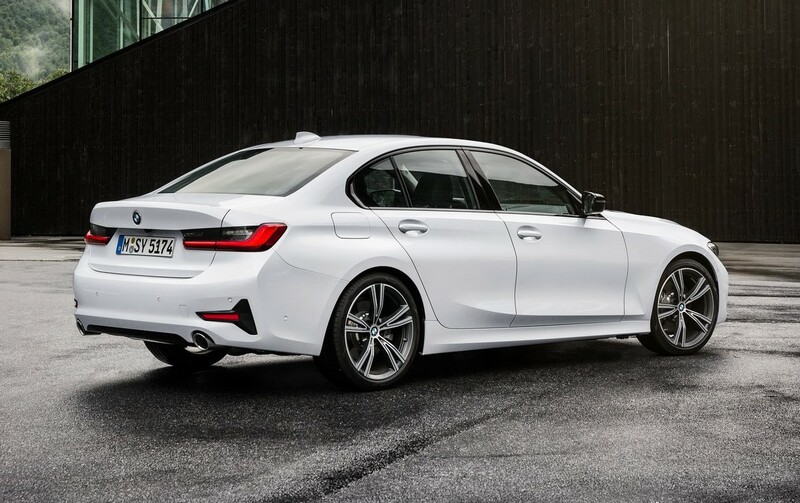 The new 3-Series has also got bold and sportier new design. 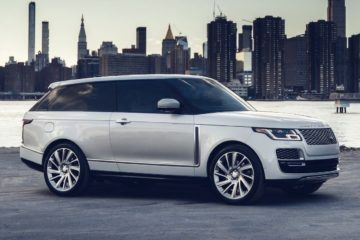 Starting from the front, the first noticeable change is the new full-LED DRLs that imposes a sportier fascia and complements the chrome-bordered signature kidney grille of the brand. The front bumper gets a fresh look with horizontal T-shaped fog-lamp houses at both sides. Gloss black finishing in the headlamp clusters and in the grille paired with the side mirrors give the sedan a bold front look from the first glance. Side profile of the car is the part that hasn’t changed much and continues to carry the silhouette of the 3-Series. 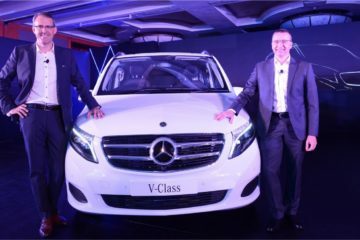 The rear of the car also gets cosmetic upgrades with all-new LED taillamps and the reflectors fitted in T-shape similar to the front. Some design elements vary according to the variants. Inside the car, the designers have removed the overhanging infotainment display from the top of the dash that looked like oddly unfinished. The screen now fits at the middle of the dash and the whole layout goes perfectly in a flow and smoothly finished. The standard layout combines a 5.7-inch digital instrument screen and 8.8-inch infotainment display. While an optional upgrade is available to a 12.3-inch instrument display and 10.25-inch infotainment screen. Also available as an option is BMW’s new-generation head-up display as part of a Technology package. The system is said to boast a projection area 70% larger than in the previous version and has enhanced graphics and additional display readings. 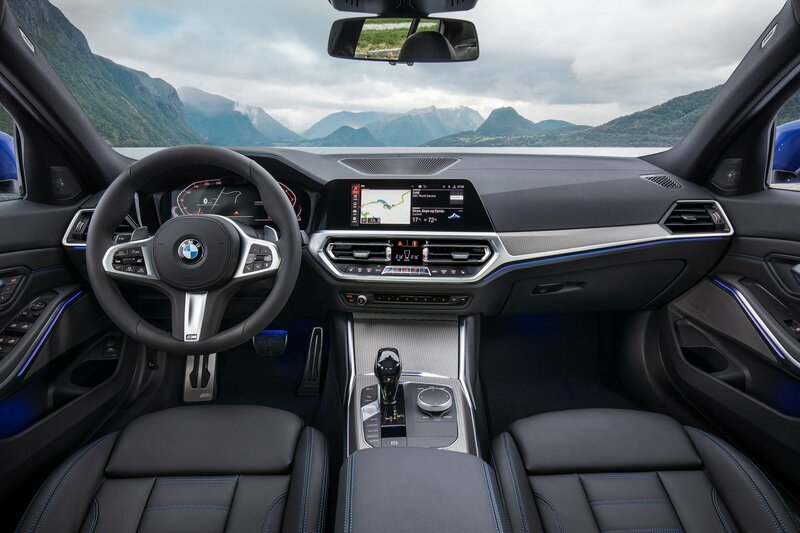 BMW has also equipped the new 3-series with it’s latest Intelligent Personal assistant (IPA) that lets you interact with your car and control the settings with voice only. 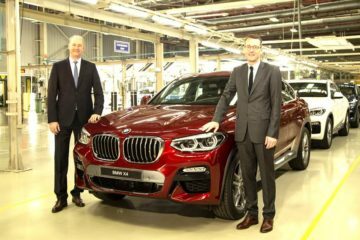 However, BMW is all about driving experience and to provide that better than the past, the sedan gets upgraded motors under the hood. 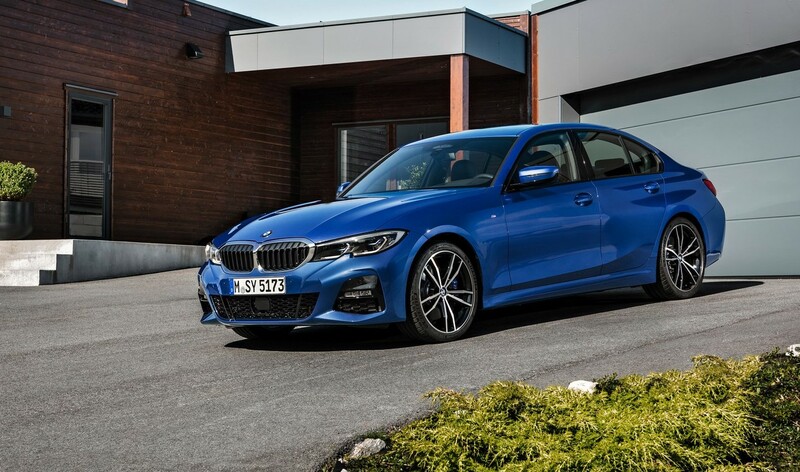 The new 3-series gets 2.0-liter four-cylinder petrol and diesel engines in the 330i and 320d variants respectively. 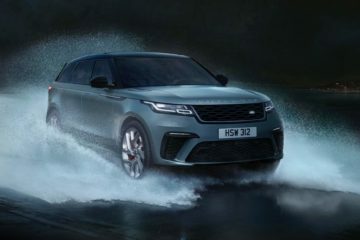 The petrol powered one makes 255 HP and 400 Nm of torque, and will do the 0 to 100 km/h sprint in 5.8 seconds while the one with diesel churns out 187 HP and the same 400 Nm of torque and takes 6.8 seconds to reach 100 km/h. 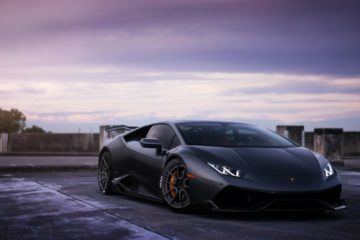 An 8-speed automatic transmission is standard across all variants while the option of choosing between rear-wheel drive and all-wheel drive is available. 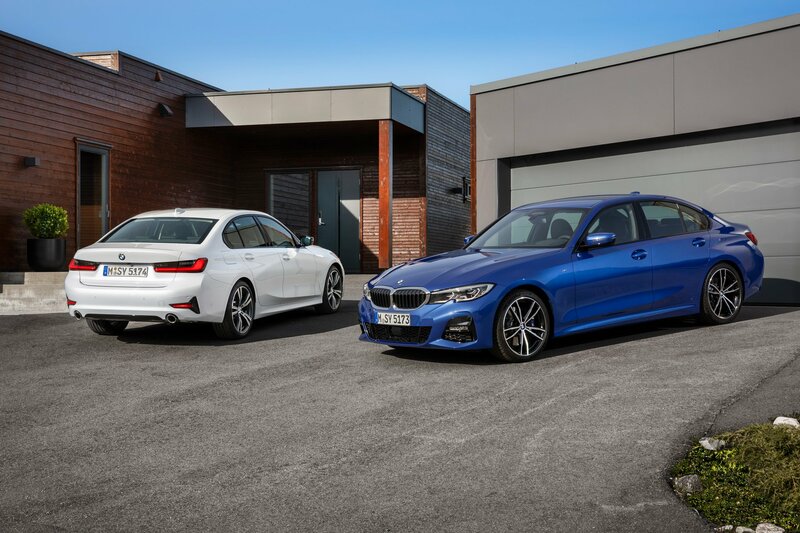 The more powerful and performance oriented variant M340i and M340i xDrive M Performance will join the lineup later next year with a straight-six engine making 382 HP and 500 Nm of torque. 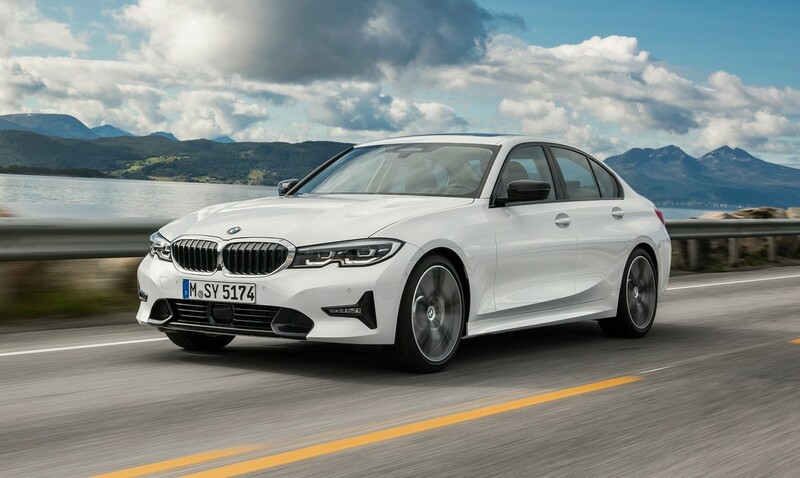 New 3-Series goes on sale in the US in March 2019 so we can expect it to arrive in India at the end of the next year.